‘Prima’ is a monthly women’s magazine with only one story published in each issue. Though, it’s not a market to be ignored as every story is read and if you can write a heart-warming, feel-good story in under 800 words, then you’re in with a chance. I would advise reading a few issues and stories to get a feel for them and to check that word count. When they first started a fiction slot a number of months ago, the word limit was 1000 words whereas it’s now been reduced to 800. Additionally, there was a prize if your story was published but they now pay £100. Again, this may change so do check. You’ll need to include your name, age, address, phone number and a photo of yourself. There is a Readers’ Award in each issue, earning the winner £50 and a further £50 is split between four runners-up. In each issue, around 5 tips are featured. Recent topics covered include an old woollen hat which was made into a tea cosy and the idea of using a hairdryer to blow the dust off a coal fire. Photos to accompany the tip are a must. The tips themselves need only be around 30 words in total. £25 is paid for each tip used. Tips can be sent by e-mail to allaboutyou@dcthomson.co.uk and type ‘Bright Ideas’ in the subject line. ‘Yours’ is a fortnightly publication, aimed at women aged 50+. Fiction Editor, Marion Clarke confirms that ‘we are always pleased to receive short story submissions’. However, as she only publishes one story per issue and receives over a hundred per month it’s one of the toughest women’s fiction markets to break into. If you do want to write for this market, it’s a good idea to take a look at their guidelines which give comprehensive details on how to set your script out, subjects to avoid, as well as other useful tips. ‘Mslexia’ describes itself as ‘the magazine for women who write’. It accepts work for all parts of the magazine from published and unpublished women in the UK and abroad. The magazine is looking for stories, poems, articles, monologues, rants, raves and much, much more. ‘Mslexia’ pays for contributions. Details can be found by clicking on the above link. However, selling a true-life story isn’t for everyone but the magazine also has the filler opportunity I mentioned at the beginning. ‘Bob’s Big Treasure Hunt’ is spread over a page and a half and features around five photos of items readers have written in about. Often the items are heirlooms passed down or something a reader has picked up at a car boot sale or charity shop. In a recent copy of the magazine, one of the items was a vintage chair and another some Edwardian vases. The writer provides as much information about the item as possible and auctioneer, Bob Hayton, places a value on it, together with some further information about the item. Sometimes, the magazine also uses the advice of TV show, Bargain Hunt’s, Tim Wonnacott. £25 is paid for each letter and photo published. It’s known as the competition to enter, with a first prize of £5000 going to each of the winners of the short story and poetry competitions and £1000 to the winner of the flash fiction section. There are also prizes awarded to second and third spots, as well as several runners-up prizes. ‘Aquila Magazine’ is an educational magazine aimed at children of 8-12 years. It describes itself as providing ‘fun, challenge and inspiration’ for bright children. The magazine already uses a team of expert writers but they do accept freelance submissions. They feature articles on subjects such as history and science and they also publish fiction. To e-mail them, go to the website and you’ll find a contact box. This is a filler slot and the magazine uses around six pieces in each issue. If your grandad, dad, husband, male friend etc has done something silly, then this is the page to write to. As well as narrative stories of daft doings, they also use photos of said males either dressed up or doing something funny. £25 is paid for each piece, with or without a photo. On this page, they also have a slot, ‘Fit Fella’, which as the name implies features photos of your grandad, dad, husband, male friend looking their best. £50 is on offer if your photo is used. ‘Memory Lane’ wants to know what you were doing 40, 50, 60, 70 or 80 years ago and pays £50 for your memories of yesteryear. One reader wrote about his being employed in the Ministry of Defence 60 years ago and another about arriving in London from India 50 years ago with only £7 in his pocket to last him two years. The Oldie’s ‘Rant’ slot is a popular one and features a gripe of around 300 words in each issue. Subjects have covered government grievances, our carbon footprint and stores and their powers of deception amongst many others. No mention of payment is made for this slot. There are also opportunities for longer pieces to be published. They accept unsolicited articles of between 600-1300 words on any subject. The other half of the magazine publishes letters sent in by post and e-mail. These are all in with a chance of winning the £50 letter of the week prize. For only around 50 words, a fee of £1 a word isn’t bad! Again,the emphasis is on writing about an article featured in a previous issue. ‘The Fiction Desk’ describes itself as ‘Independent publishers of new short fiction’. They’re looking for short stories of between 2000 – 11,000 words. They pay for each story published. ‘The Fiction Desk‘ also hold regular flash fiction and ghost story competitions. 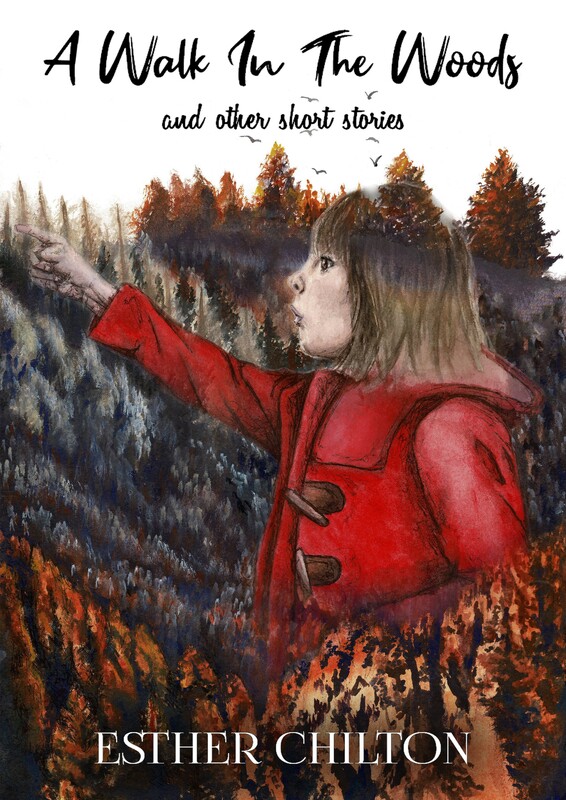 To get a feel for the type of story they’re looking for, you can download their first anthology for free. It’s worth taking a look at this; if you know the sort of story they’re likely to publish, it’ll help you to write your own so that it ticks all the relevant boxes for them. A UK quarterly literary and arts magazine, ‘Ambit’, is my publication for you this week. It’s entirely put together from unsolicited work. They suggest you buy a copy to find out if your style will suit them. If you feel it will, then they’d like you to send in either one story of up to 5000 words (they’re currently into flash fiction of up to 1000 words) or three – six poems. They have a comprehensive submissions page, which gives details for submitting work and payment. They accept work from all corners of the globe. ‘Dark Tales’ is a market inviting horror and speculative fiction. They run monthly competitions, which means if you just miss one deadline, your story will be entered into the next competition. The competition is UK based but entries are accepted from overseas. The maximum word count for each story is 5000 words. The winning entry receives £100 and publication in ‘Dark Tales’. All shortlisted entries are also published and a free copy is sent to the writer of each story published. Back issues of ‘Dark Tales’ anthologies can be bought to get a feel for what makes a winning entry. Founded in the US by two motivational speakers who published a book of inspirational stories they’d been told, ‘Chicken Soup for the Soul’ has now been going for over twenty years, with over 250 books in the series published. Each book is full of true-life, inspirational stories/poems and they’re always on the lookout for new writers. The website features writers’ guidelines and you can also take a look at new topics they’re looking to cover. The maximum word count for each story is 1200 words and remember, the story must be true. US$200 is paid for your story, US$100 for a poem, if accepted, plus ten free copies of the book it appears in. This publication invites true-life spooky stories. It’s full of unusual and unexplained happenings. If you’ve seen a ghostly apparition, had a reading from a medium which has come true, been given a message from a loved one who has passed on, or experienced something you cannot explain, the magazine would like to hear from you. The website will give you more information and an idea of the type of stories they’re looking for: http://www.fateandfortunemagazine.co.uk There is even a page to submit your story. They pay up to £200 per story. ‘Woman’s Weekly’ used to have a double page spread of readers’ letters but they’ve undergone a big change. Now, on their ‘Welcome to Woman’s Weekly, Come On In’ page, they use one photo of a reader’s pet, a tip and they have a ‘Letter Of The Week’. Payment used to be for each letter and photo appearing on the page but now they only pay for the ‘Letter Of The Week’. If your letter is chosen, you’ll receive £25. You enhance your chances of having your letter published if you relate it to a previous article in the magazine and if you can also relate it to your own experience. This annual short story competition invites stories on any theme. There’s a word limit of 4000 words. Only one story per entrant is allowed. It’s well worth an entry with a first prize of £3500! Second place receives £1500 and third place £500. To get a feel for the type of story likely to win, you can read previous winning entries. The competition is only open to entrants who reside primarily in the UK. This is an annual competition for anyone who hasn’t had a novel published on a commercial basis. It’s well worth an entry as each submission is are judged by top crime editors and agents. What’s more, the short listed entries are sent to publishers and agents. To enter, you need to send the opening of your crime novel, up to 3000 words. A synopsis of between 500-1000 words is also required. There is a first prize of £700, plus each shortlisted entrant will receive a professional assessment of his/her entry. If you win, it doesn’t mean you will automatically have your book published, but many of the past winning entrants have gone on to become successful crime writers. During the past fifteen years (how long the competition has been running for) over two dozen winners and shortlisted Debut Dagger entrants have been signed up by top agents and publishers. If you’re looking for a way to earn some cash with a quick filler, take a look at ‘Love It!’ magazine. It’s a woman’s weekly packed full of real life true stories and filler slots. If you click on the website: http://www.loveitmagazine.co.uk/ and the title ‘My Love it’ you’ll see several opportunities. The first one that comes up is to send the magazine your true story. If you look through the website, you’ll see the type of personal story they’re looking for – it can be anything from fighting an illness, to a special wedding. They do pay well for true stories. If you’d rather not share your story, they have a letters page and some photo slots they pay for. Scroll down to the bottom and you’ll see an invitation to enter the ‘Cute Wars’ competition. They’re looking for cute photos of animals and babies. The winner of the cutest photo wins £100. You can send stories, letters and photos via the website. Entries are accepted worldwide. $25 dollars goes to the best one. The winning entry is published in the paper as are several runners-up. Previous winning entries can be viewed if you follow the above link. It looks like they feature a new image and limerick competition every other month, so if you miss one, there’s always another to come. You could be forgiven for thinking that this is a magazine devoted to the popular sport but take a look at the website and you’ll soon see that it’s a magazine for children. In fact, The Cricket Magazine Group has expanded and includes 14 different children’s magazines covering a vast age range from 6 months – teenagers. The website has a page offering very detailed writers’ guidelines for each magazine. They also advise that you read several recent issues of the magazine you’re aiming your work at. You can view examples of the magazines on-line to give you an idea of the type of work they’re looking for. This yearly contest always has an annual closing date of 31st July. There is an entry fee of £5 per story. Prizes are as follows: First prize: £400, Second and Third: £50 and there are several Highly Commended places. All the winning stories will be published on the website. Entries are invited for stories on any theme, up to 2500 words. This market with a difference describes itself as ‘a new literary genre of creative writing using a mobile phone texting system, or SMS (Short Message System). At txtlit.co.uk we provide a platform where you can test your writing skill, have a chance to gain financially and have your work published on the Internet, through what we believe to be the easiest to enter writing competitions in the UK’. Sadly, you must have a UK mobile phone provider to enter so this isn’t for overseas entrants, but perhaps there’s something similar in your country. Competitions are held monthly, at a cost of £1, plus the cost of a text message. Check the website for the current theme of the month. A prize of at least £50 goes to the winning story. To enter, using your mobile phone, text the keyword, STORY followed by a space and then your story to 82085. The story itself must be in no more than 154 characters including spaces and punctuation. This independent publisher publishes poetry, fiction and also selective non-fiction. It’s a small company run by a family team. This is a US based writing competition for new science fiction and fantasy writers. There’s no entry fee, but fantastic quarterly prizes of $1,000, $750, $500 plus an Annual Grand Prize of an additional $5,000. So it’s definitely worth considering! Entries of up to 17,000 words are accepted. ‘Words’ is a magazine, which holds regular, free to enter, short story competitions. All entries are considered for publication in the magazine and there are small cash prizes for first and second placed stories. The maximum word length for stories is 2000 words. This US publication describes itself as ‘like jazz—it’s a rich mix of ﬂavors, ideas, and techniques, some of which are newly invented and others as old as writing itself. Creative nonﬁction can be an essay, a journal article, a research paper, a memoir, or a poem; it can be personal or not, or it can be all of these’. They pride themselves on using a lot of unsolicited material so they offer a great opportunity to the new writer. Throughout the year, they have specific slots they invite submissions for e.g. one slot they’re currently asking submissions for is on the subject of marriage. They pay for articles. Check the website for current rates. Back issues of the magazine are available to buy. This is a publishing house specialising in children’s fiction, for children aged 7-18. They used to accept unsolicited manuscripts, but sadly they stopped this a few years ago. However, there are still opportunities for writers to become published with them through their annual Times/Chicken House Children’s Fiction Competition. The winner will receive a worldwide publishing deal with Chicken House, which includes an advance of £10,000 plus representation from a top children’s literary agent (subject to contract). The entrants who are longlisted will receive a reader’s report of their work. They’re looking for a minimum length of 30,000 words and maximum of 80,000 words. There is an entry fee of £15. Scottish Book Trust hold a monthly flash fiction competition, ‘The 50-Word Fiction Competition‘. Each month they give you a prompt to get you started. There are two categories – the Young Writers Category (below the age of 18) and one for all those aged 18 and above – the All-age Category. All-age Category: A writing mug from The Literary Gift Company. Young Writers Category: A selection of fantastic books. Winning stories are published on the website. It describes itself as ‘a prestigious fiction writing competition for short stories in any speculative fiction genre, i.e. fantasy, science fiction, horror or anything in-between or unclassifiable’. In its 11th year, the contest runs from 1st January to November 30th so you have plenty of time to work on your story. There are four rounds, so take a look at the rules for further information on this. Unpublished stories of up to 10,000 words are accepted. The top three stories will all be published in Albedo One, Ireland’s magazine of science fiction, fantasy and horror. To find out further information, including entry fees, visit the website. And there was a second post continuing on with more writing opportunities. You are something! Providing all this information in one spot is the culmination of a lot of research/leads/gathering. Again, the line should be long bringing you gifts of thanksgiving for your work and generosity to share this. Fabulous! Wow talk about a comprehensive list. Impressive thanks for sharing. This is so useful! I thought your first page with info was brilliant, now I’ve found your second one! I’m definitely going to have a go at some competitions. Thanks so much. You have made my day. I have been combing the net for these media houses for days without tangible result. Thanks. Thank you for your hard work. 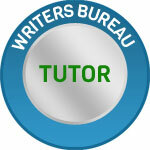 I’m just starting out on my writing journey doing the Writers Bureau course, so this resource is fabulous.